Azure works in collaboration with Slow Food Mexico to support and expand the network of indigenous blue corn farmers in Mexico. After successfully applying for a big grant from the Ford Foundation, Slow Food is dedicated to identifying small-scale Mexican producers and link them to the global market, facilitating their transactions with businesses like Azure.  Azure’s producers are thus vetted by Slow Food to ensure that they are paid fairly and that their blue corn is of the highest quality. Slow Food is an international grassroots movement founded in 1989 in Italy as a counter-movement to fast food culture. The movement is dedicated to the revival of local food cultures and traditions. Their motto is good, clean and fair food. Their philosophy is based on the belief that quality, tasty and healthy foods must be made in a way that is safe for the environment, fair for producers and at a price accessible to consumers. Slow Food has over a million supporters around the world with over 100,000 members active in 160 countries. They’ve identified over 3,500 food products around the world that are threatened by extinction. Pinole is one of those foods. Slow Food Mexico and Central American is one of the fastest growing branches of Slow Food International today. Spearheaded by Alfonso Rocha Robles, it has expanded Slow Food’s network to 36 regional and local groups around Mexico, uniting youth groups with chefs and local producers around the country. Alfonso is also dedicated to protecting traditional Mexican foods (and their producers), such as honey from stingless bees, amaranth, agave syrup, cacao and vanilla. We actually use some of these products in our Jubáami bars! What is Slow Food and what is its mission? What is the history and significance of corn in Mexican culture? What is the 'milpa' system and what role does corn play in it? As a chef, how have you used pinole in the kitchen?